I guess the vrm section of the 1080 pcb they used was designed for both the 6 and 8 pin connectors. I am really curious if these will have working sli now...? 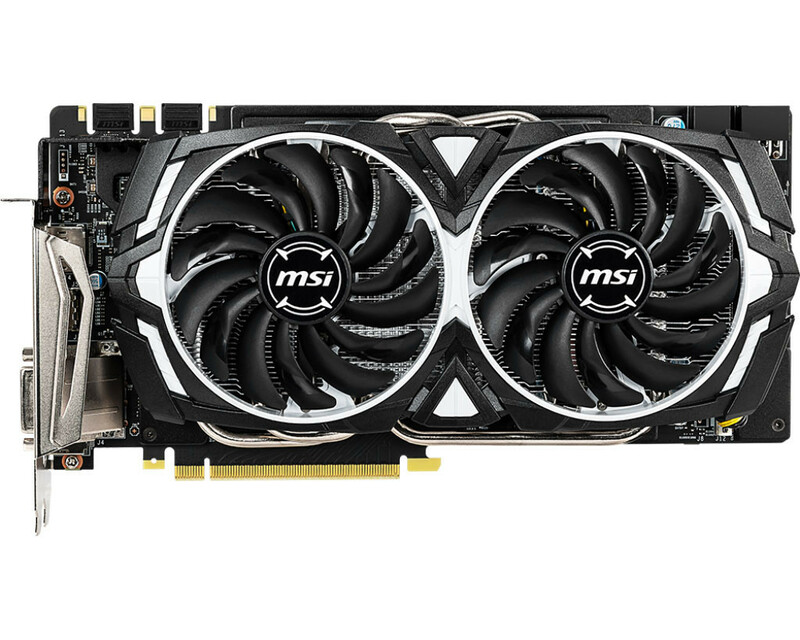 Ever wanted a GTX 1070LE? 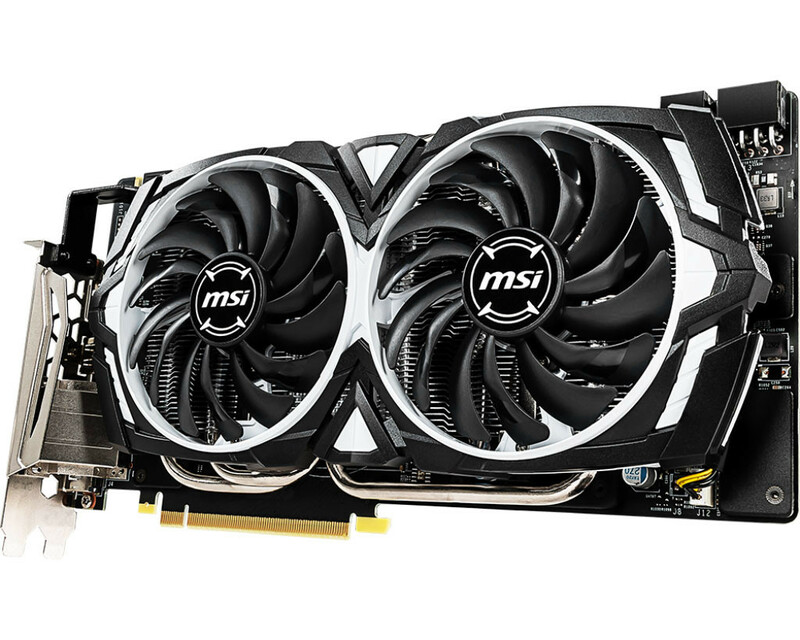 "Apparently you get SLI support"
Specifications page makes no mention of SLI, so it's almost certain this is just a reused GTX 1080 PCB like the Colorful GTX 1060 GDDR5X. 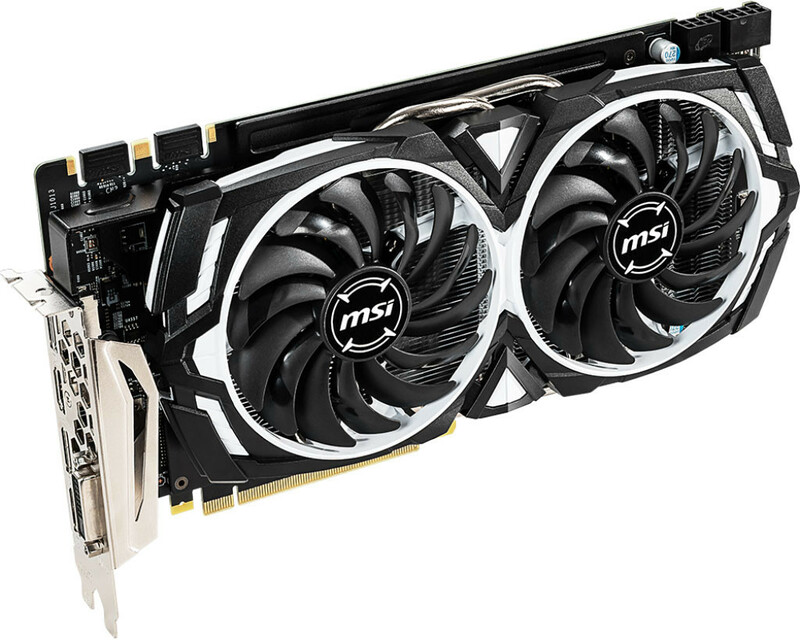 Seems like all the manufacturers churned out masses of GTX 1080 boards during the crypto craze, then the crash came and now they're stuck with them; this gives them a way to get rid of them without making a total loss, while also not threatening the new RTX cards at the high end. I have to say though, I'm seeing these cards shooting the manufacturers in the foot, because people with low-end systems are gonna buy them and of course their crappy PSUs aren't going to have dual 8-pin PCIe power connectors, so they'll end up returning the damn things and just getting ordinary GTX 1060s or RX 580/590. Half of the shaders cut off, I guess they have so much defective chips since they have only 1280 working shaders. 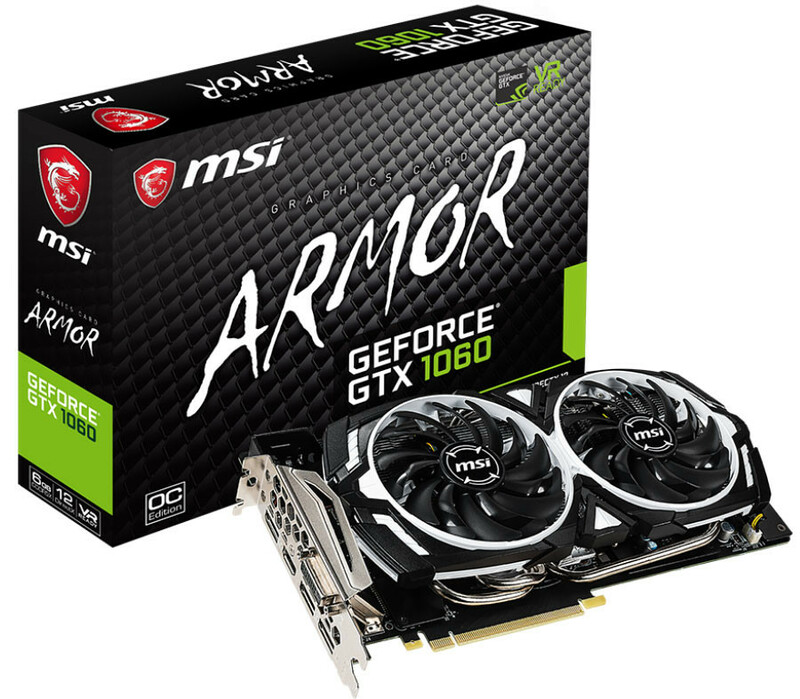 Looks like this will also have a beefier cooler than the regular 1060 Armor, at least if the specifications on MSI's website are correct. Weight of the GDDR5X version is listed as 846g, while regular 1060 is 556g. 1070(Ti) Armors are 832g, 1080 Armor is 877g. So, one would expect lower temperatures/noise/both with these. Nope, NVIDIA is purposefully gimping perfectly good GP104 chips that would have gone onto GTX 1070/1070 Ti/1080 cards, to make these 1060s. They don't want people buying new high-end Pascal cards, they'd much rather have us buy the far pricier Turing/RTX cards, and they're willing to take a hit on the price they paid TSMC for those GP104s to achieve that. Plus they needed something to compete with RX 590, and midrange-priced GPUs move more units than high-end ones. But the thing is, (what many others probably are also wondering) why release this with 8Gbps memory, since they had that 9Gbps GTX 1060.. I believe they are thinking sell more cards and wtf are we going to do with all these low end 1080 pcbs that we can't sell to miners anymore.